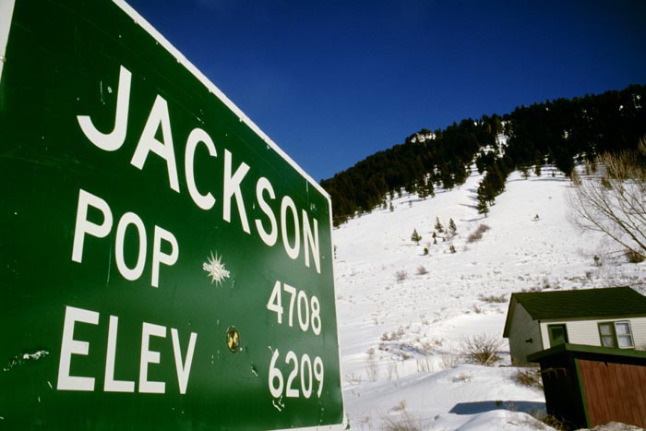 Entering Jackson - Jackson Hole Wyoming. Population sign that needs a revision. The number of full time residents has risen about the town's elevation.